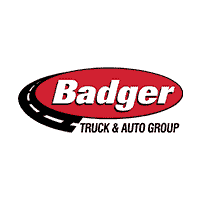 At Badger Truck & Auto Group, we work with our commercial customers to really understand their business and industries. Our sales team has decades of knowledge helping our customers build the work truck that actually works. Throughout this process we’ve develop some standard units that are perfect for that customer that needs it now! Not looking for new work trucks…we also have decades of experience purchasing high quality used commercial work trucks. Check out the inventory we have on-hand, and remember we can always assist you in building a custom work truck, or a fleet of custom work trucks.